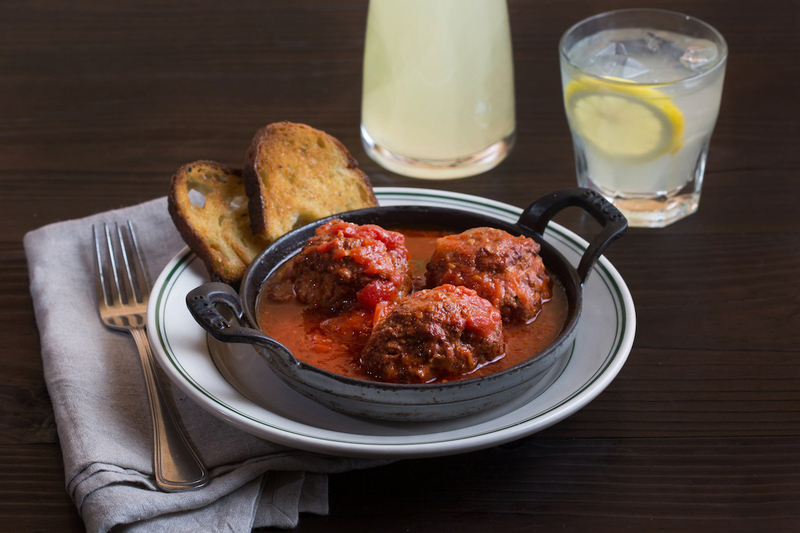 Mama Marcella’s meatballs are referred to as the eighth wonder of the world. 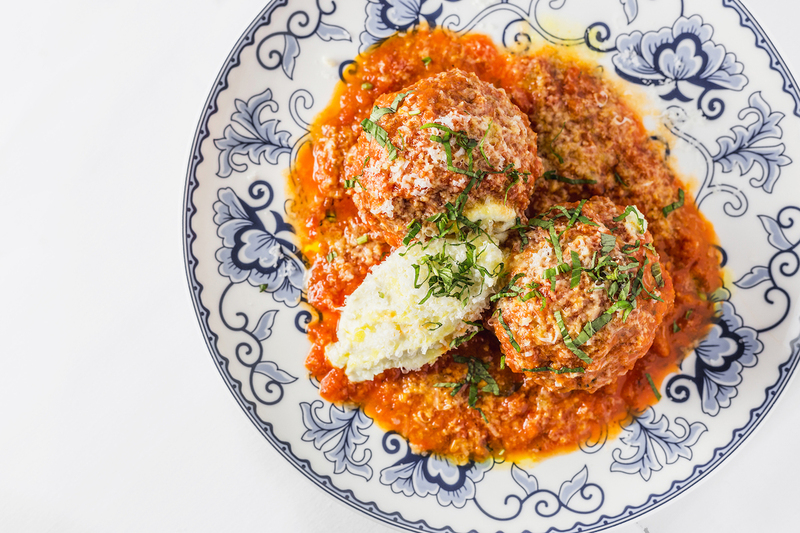 The nine-ounce globes are made with ground veal, fresh ricotta, fresh herbs, diced onions, breadcrumbs (made from a buttery, flaky bread) and a little flour for binding, and are then deep fried and braised in bright marinara until tender. 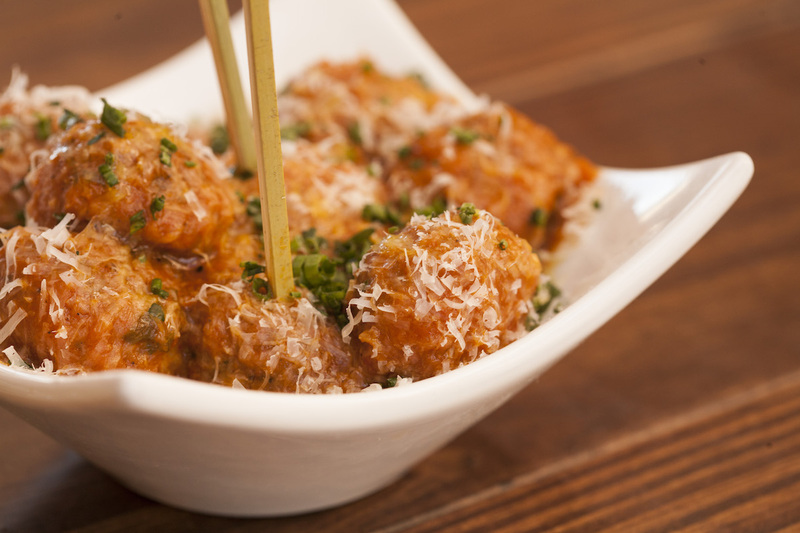 They are served on a bed of sauce and sprinkled with freshly-grated Parmigiano. Make a reservation at Marcella’s. 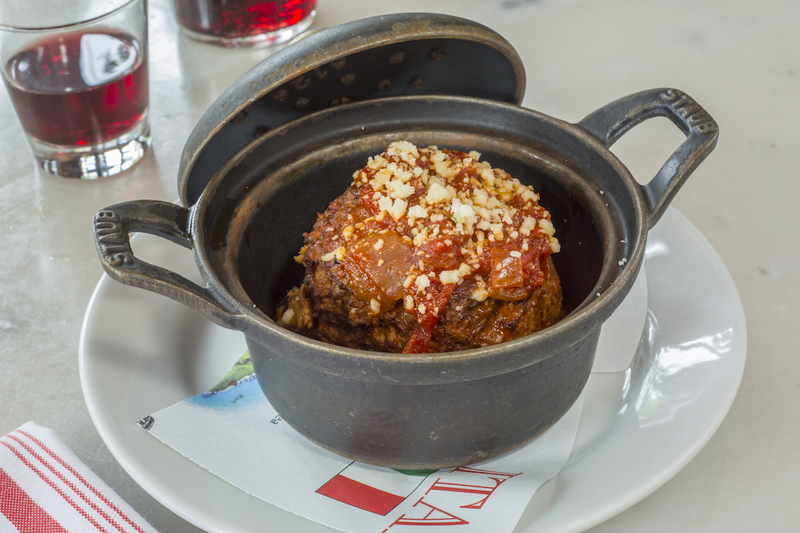 In true Sunday dinner fashion, expect family-style servings of Italian meatballs made of veal, beef, chicken stock, grated Romano cheese, and secret seasonings. 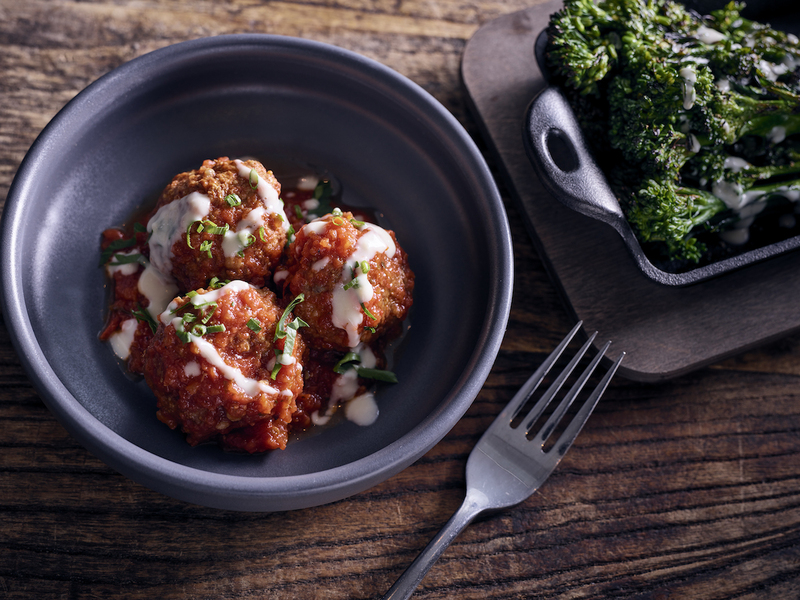 The meatballs are baked in the leftover chicken stock for 20 minutes, so they soak up more flavor and moisture and are served over a bed of al dente spaghetti. 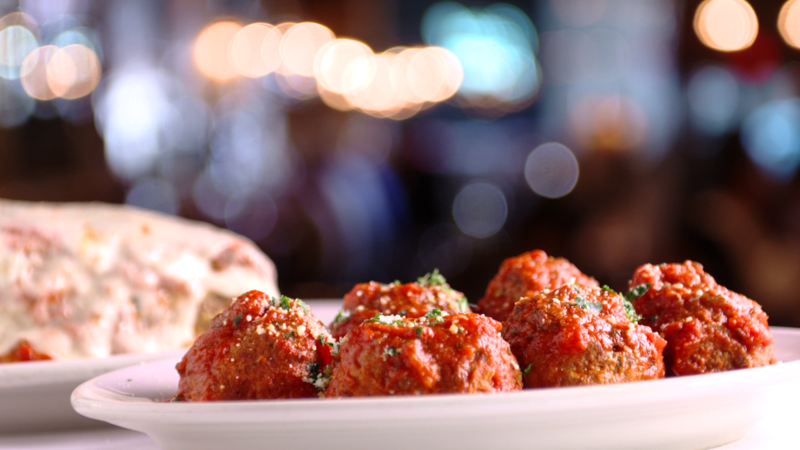 Make a reservation at Carmine’s Italian Restaurant. 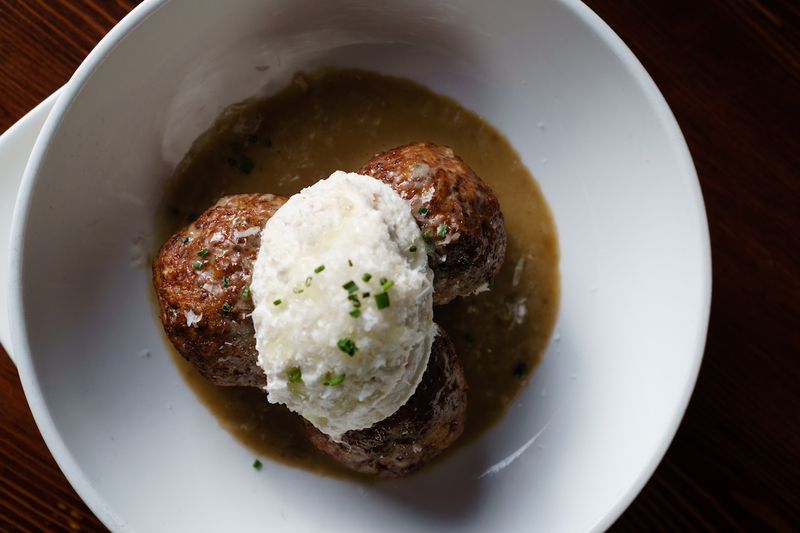 You’ll remember the Alamo, as well as the buffalo meatballs that are rounded here using locally-sourced Texas bison. 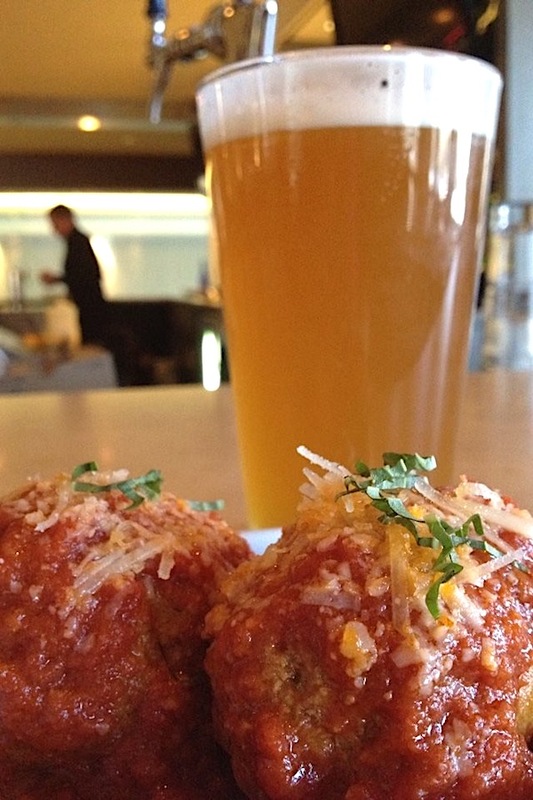 The meat is coated in housemade barbecue sauce and topped with Parmesan cheese. 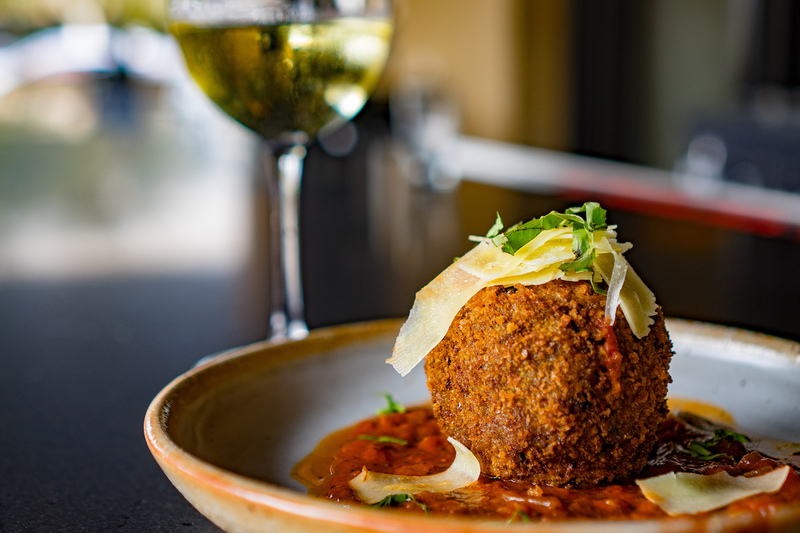 Make a reservation at Boiler House Texas Grill & Wine Garden. 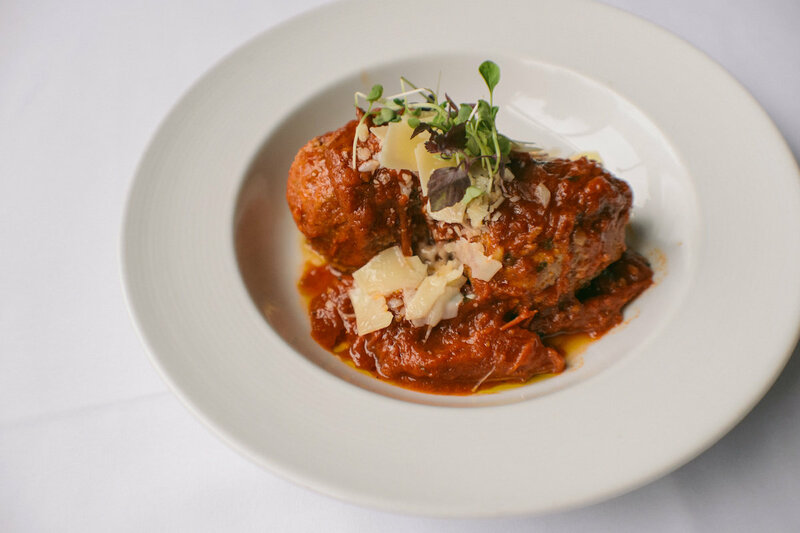 Chef Dante de Magistris features polpette on the menu, a dish using his nonna’s secret Italian recipe that’s been passed through the generations. 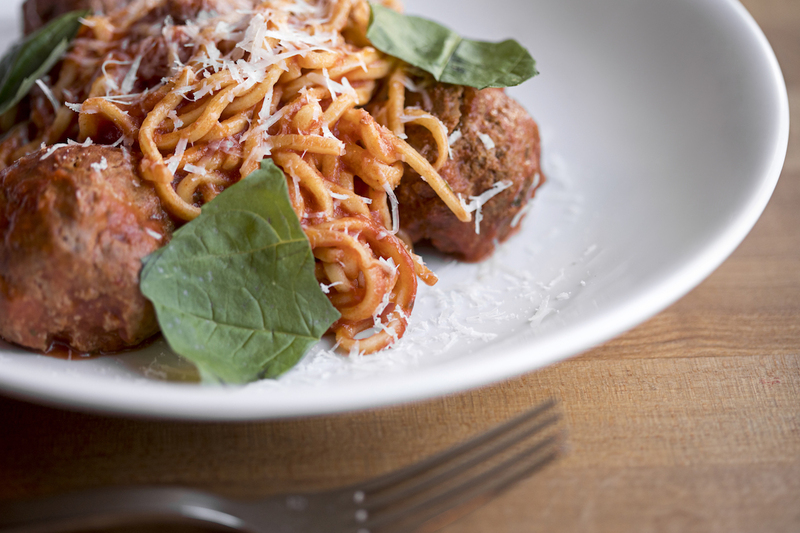 It’s made from a traditional recipe using pork, rather than ground beef, and tomato ragu. 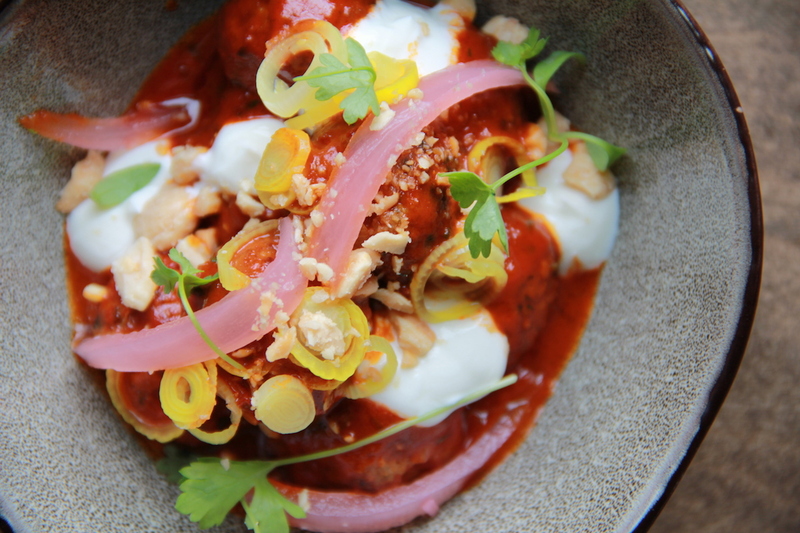 Make a reservation at Dante. 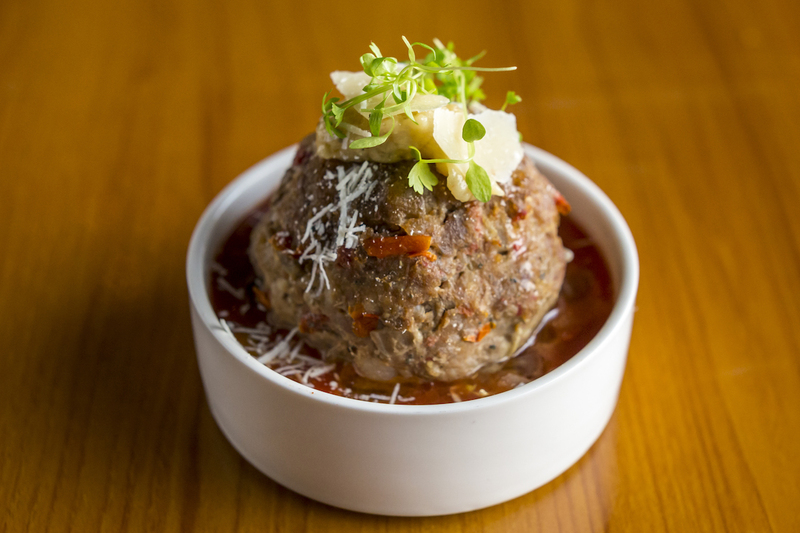 What are your picks for top restaurants for meatball lovers? Tell us here or over on Facebook, G+, Instagram, Pinterest, or Twitter. And, remember to snap + share your #dishpics with us on Instagram for a chance to win in our weekly giveaway. No mention of The Meatball Shop?? 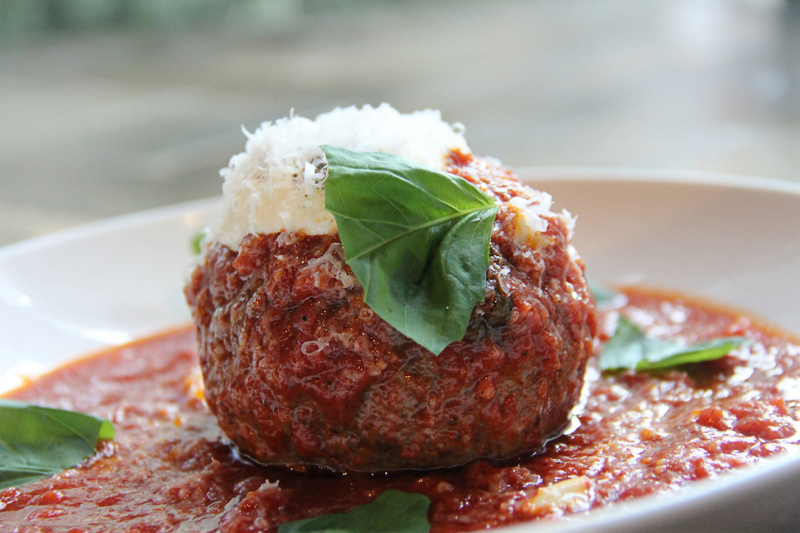 You must try Passero in Arlington Heights, IL for the best meatballs on top polenta. Amazing!